Stylish and goes with both casual. 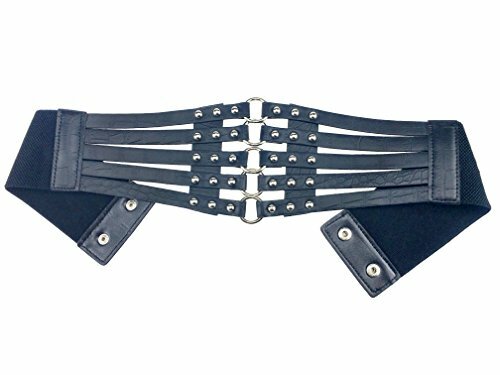 PU leather underbust waist belt with elastic band,alloy rivets and stud buttons. 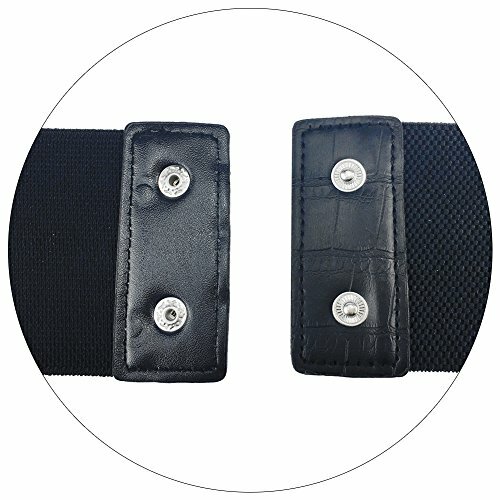 A stretch belt is perfect for all kinds of clothes such as dresses, skirts,sweaters, down jackets or other clothes. Suitable occasions: Elastic wide waist belt fit for your all formal or casual occasion in the four seasons. Exquisite rust-proof alloy plated buckle and rivets, it’s very fashion and elegant looks, show off your charming body. 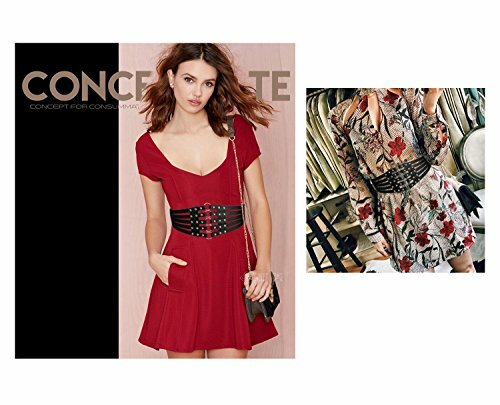 The fashion waist belt is metal press stud button closure on the back .Easily and conveniently to wear and take off.